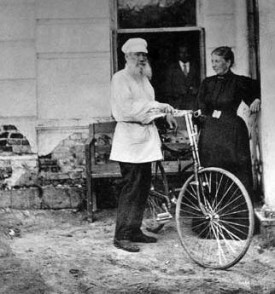 Apparently that's Tolstoy and his bike above. Find his classic works in our collection of 375 Free eBooks and 400 Free Audio Books. i dont think we can say that stamp collecting is a case of lifelong learning…..